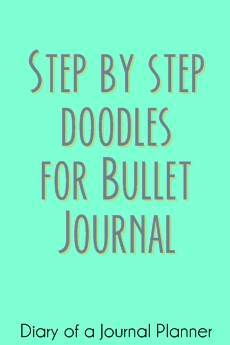 Make your own bullet journal books to read template in your notebook by following this simple step by step tutorial! 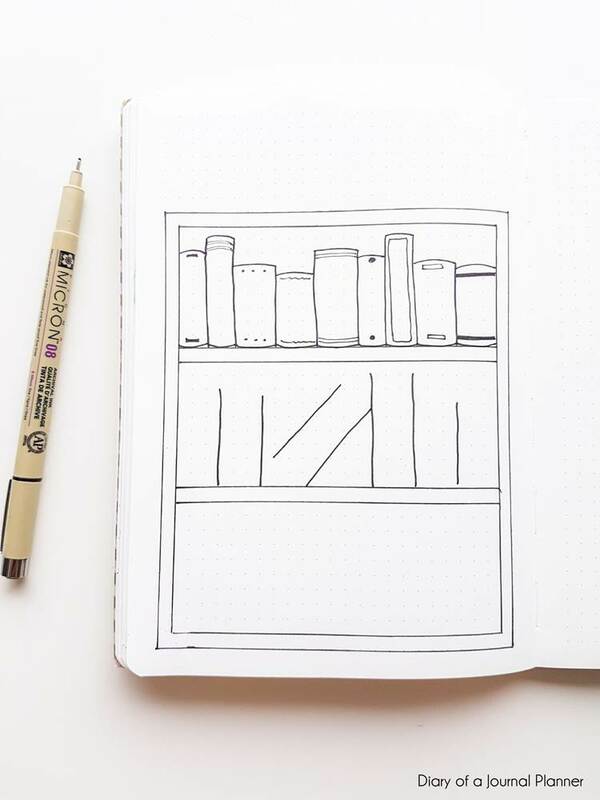 Today I have a special bullet journal page to show you all; books to read bullet journal spread! My friend Kate from My Sweet Home Life is starting her bullet journal journey this year – I am so excited for her! She is a book lover and wanted some bullet journal book tracker inspiration to keep track of her reading this year. 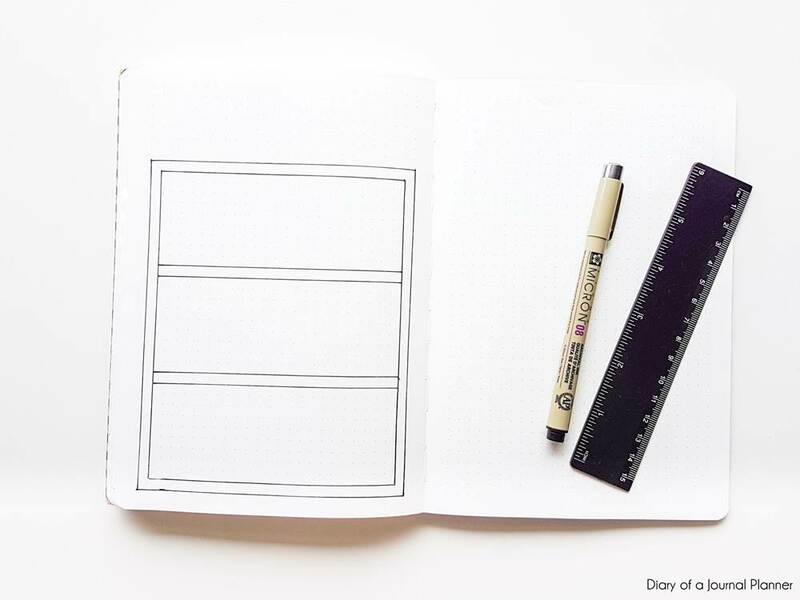 I too wanted to have a page to collect my reading journal ideas so I decide to make this spread and add step by step instruction so anyone looking for a reading log journal template can just follow the simple steps! 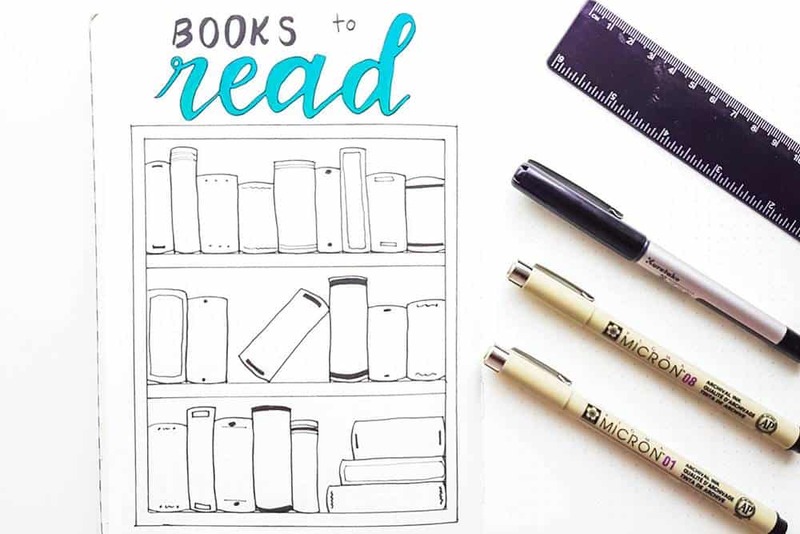 So read on to find out how to make a similar books bullet journal spread in your own notebook. 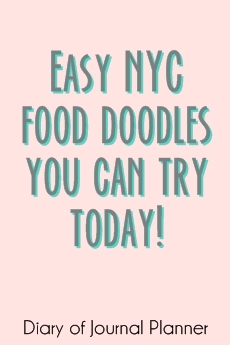 And if you don’t feel like doing it yourself, I have the bullet journal books to read printable at the end of the post for you. This is a very simple spread to make and you hardly need any tool other than what you already have at home. 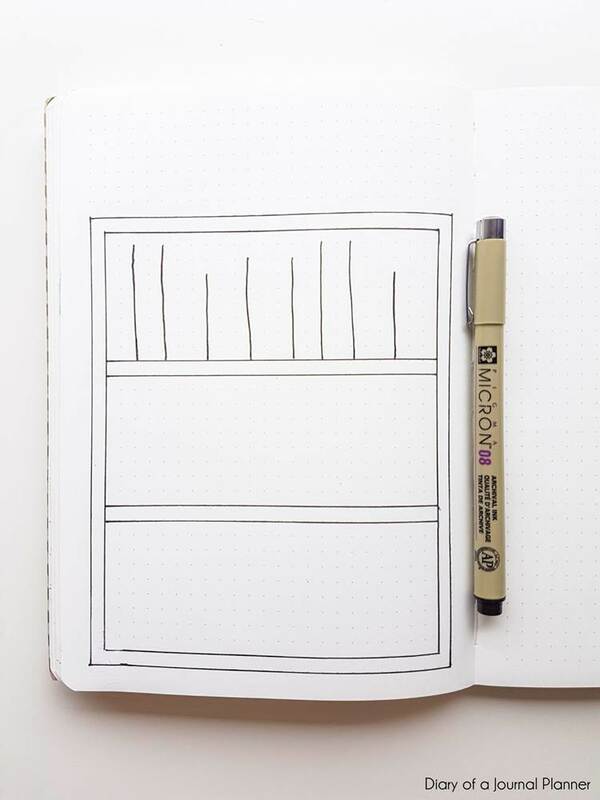 To make this a reader’s bullet journal tracker I used my favorite black drawing felt tip pen – the Sakura Pigma Micron. You don’t necessarily need a drawing pen for this page but my plan is to color the books once I have read them so that at the end of the year I have a very colorful spread. The Sakura Pigma Micron is an excellent choice if you decide to color your spreads too because they use archival ink which is totally waterproof, meaning that the black ink won’t smudge when you use colored marker on top or watercolor. I like this brand specially because you can have a professional drawing pen for a affordable price. I highly recommend these pens, they are some of my all time favorite bullet journal pens. If you check out Pinterest for inspiration you will see that there are many book journal ideas out there. 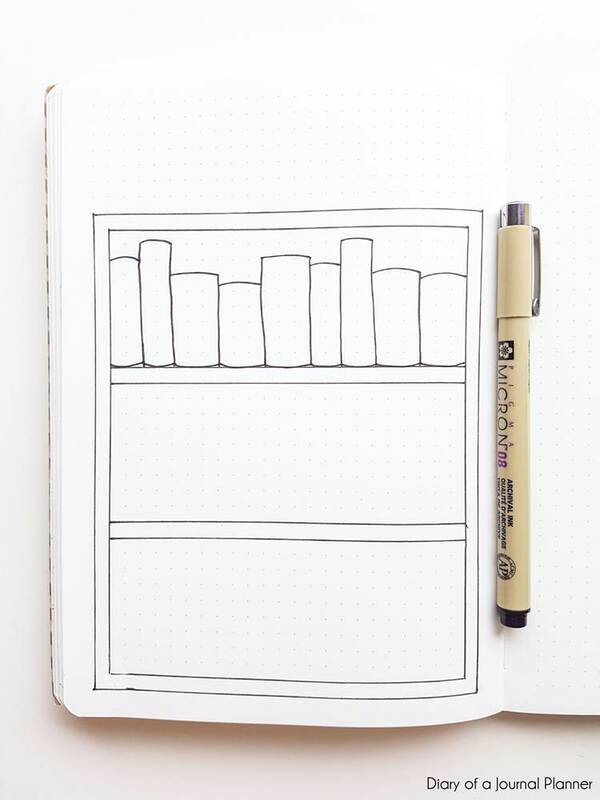 I have always wanted to make a bullet journal bookshelf style page and that is what I decided to do at the end. We will start with but creating the blocks which will be our bookshelves. I made the blocks 9 grids tall and I used the entire length of my A5 notebook – you might have to adjust these settings if your notebook is of a different size. I made a total of 3 blocks and large rectangle around it to create the bookshelf form. Next, it was time to add the books. I following this step by step tutorial on how to make books standing up. All books on the first shelf are nicely organized. I just made sure that the book was large enough so I could write the book name with small letters inside of the space. Check how simple is it to make the standing up books. First add your straight lines. Now make the top and bottom on the books with a slightly curved design. 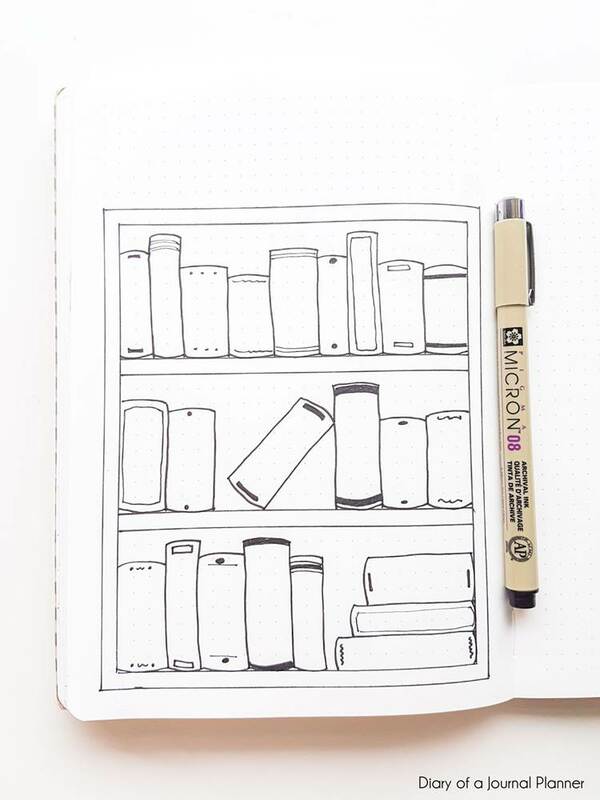 Then add a few details to the books – you are done with your first shelf! You could repeat the exact same style in the next shelf but I wanted to make it a little different by adding a book that wasn’t standing up completely straight. So again I started with the lines but in this case not all of them were parallel. Now just finish up the books by adding the lines on the top and the bottom of the books plus the little details. I wanted to name this spread in my journal as “Books I’ve Read This Year” but the space left on the top wasn’t really enough so I went with “Books To Read“. But you could also use captions like “Book Reading Journal Tracker” or “Bullet Journal Book Club“. So here is my layout. 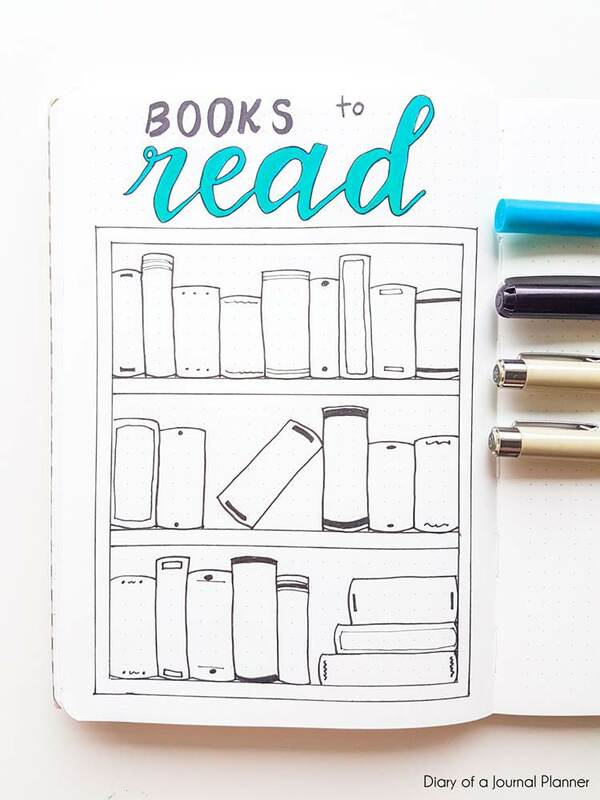 Any book lovers out there could use this reading journal tracker! 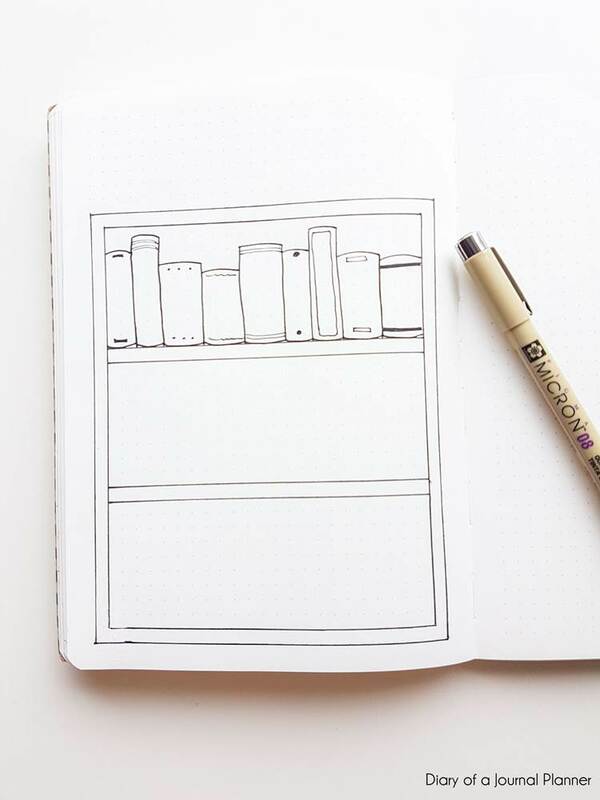 If you would like to have this bookshelf bullet journal template but don’t feel like drawing it yourself you can download my free hand drawn printable template here! It is designed for a A5 notebook but if you have a different size journal just adjust your printer settings to print on a different size. 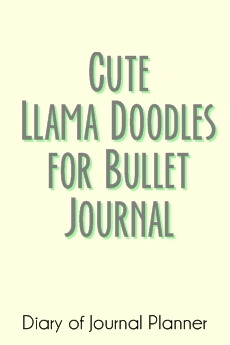 Download here your free printable bullet journal books to read template! Now go have fun with your book tracker! 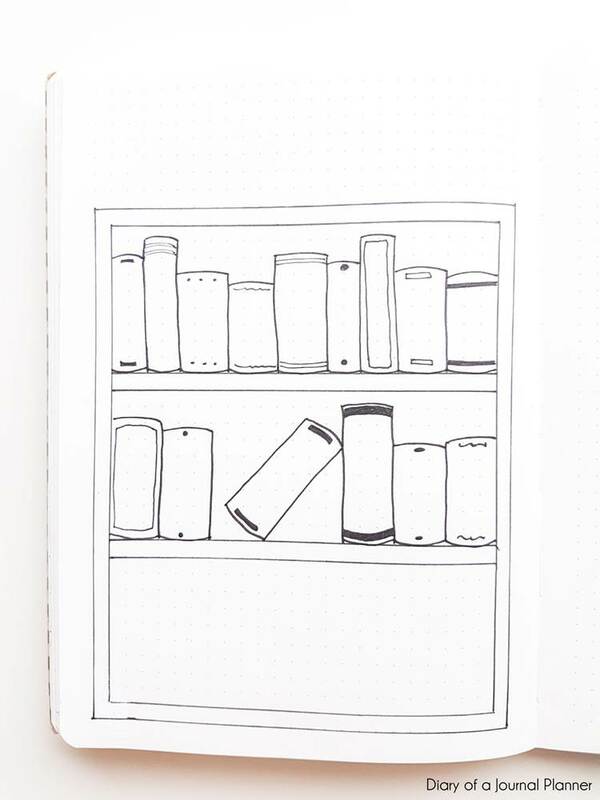 I am going to fill in my spread with books I want to read this year and then color the books once I have done. 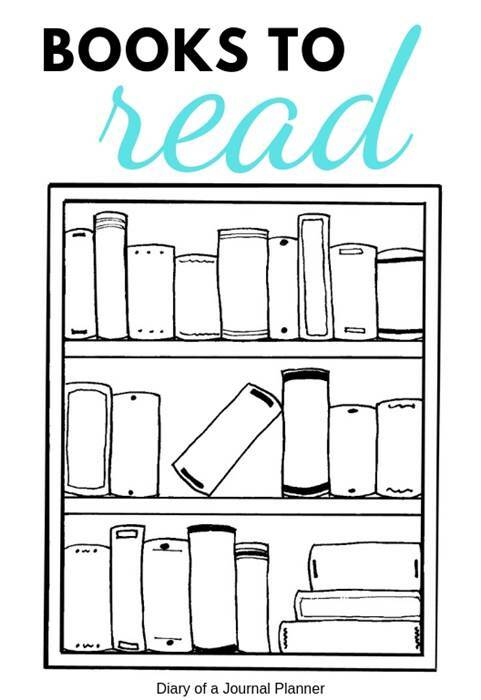 Do you have any book recommendation? Let me know in comments below.